If you want to obscure secret information in a document for publication here's a quick and easy way to do it, without downloading any special tools and without printing the files out and scanning them back in again. 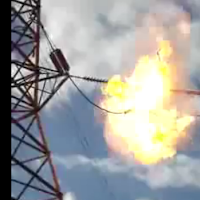 If you know about the issues with electronic redaction just skip down to the pictures below. Sometimes people and organisations need to release documents after having removed some particularly sensitive content. This process, often known as redaction, used to be simple. One would run a thick black pen over the data you wanted to hide and photocopy the result. 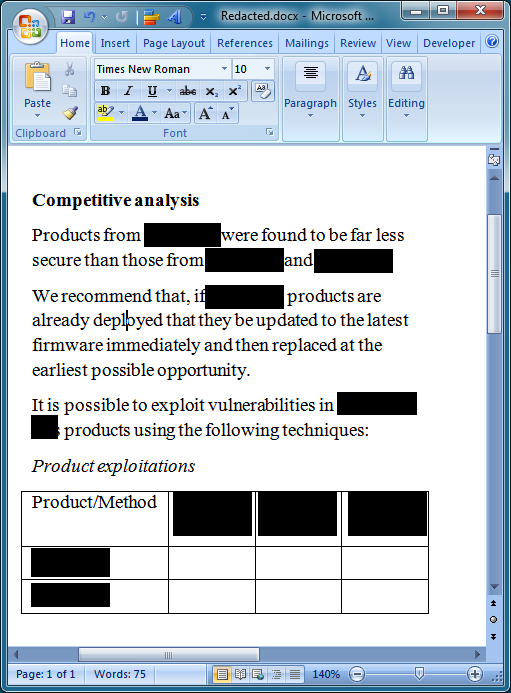 Redacting electronically introduces some pretty dire pitfalls. In 2007 the Fédération Internationale de l' Automobile (FIA) published transcripts from the World Motor Sports Council hearings into allegations that McLaren was spying on Ferrari. 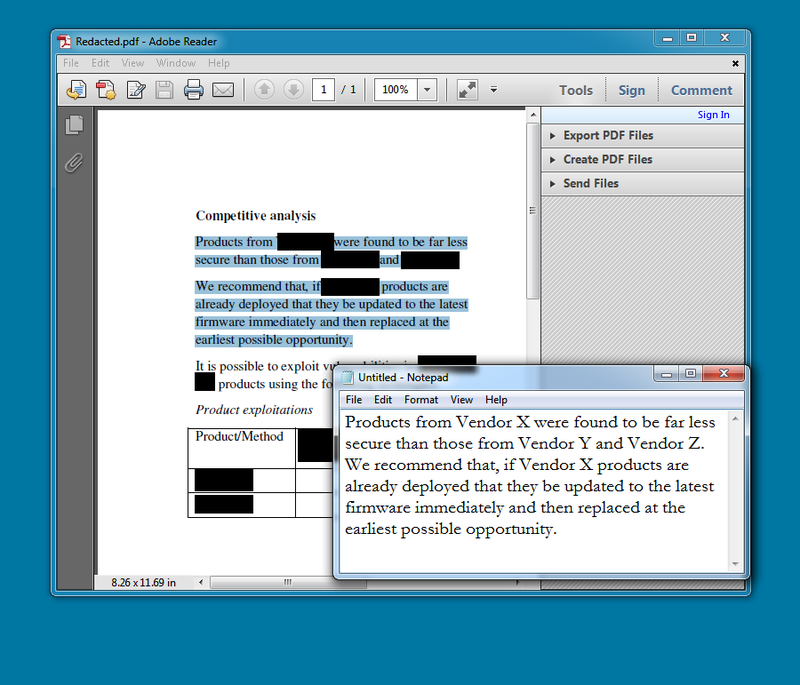 Its attempts at redaction were woefully ineffective and could be bypassed by selecting the text from the document and pasting it into a text editor. The black blocks designed to obscure the secret information were ignored and the secrets revealed. 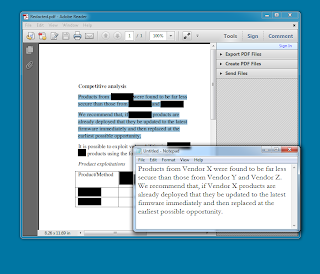 There are special tools available to help redact documents and Microsoft provides a dedicated tool for Microsoft Word 2007. 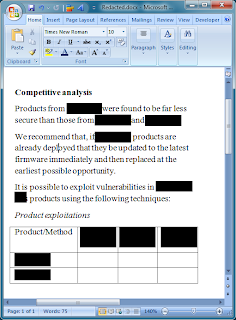 The NSA has published guidelines on redacting Word and PDF files, which are freely available online [direct PDF download]. It also includes useful information on removing metadata, which can reveal a lot of interesting information you may wish to keep private. The following steps require no special tools. 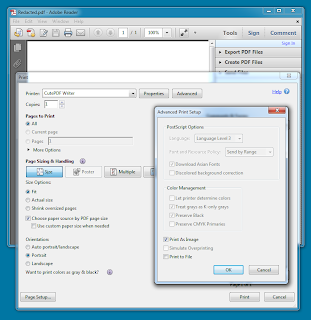 You just need a third-party PDF generator, such as CutePDF Writer, and a free version of Adobe Reader. 1. Load or create your document in Microsoft Word and cover any sensitive information with black boxes, courtesy of Word's Insert Shapes feature. Ensure that these boxes are 0 per cent transparent! 2. Save the document as a PDF. You can print it to PDF format using the third-party PDF printer driver or save it as a PDF using Word's own in-built PDF generator. At this stage the PDF is not secure. 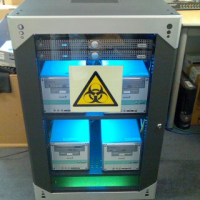 You will be able to copy and paste text that is hidden beneath the black boxes. 3. 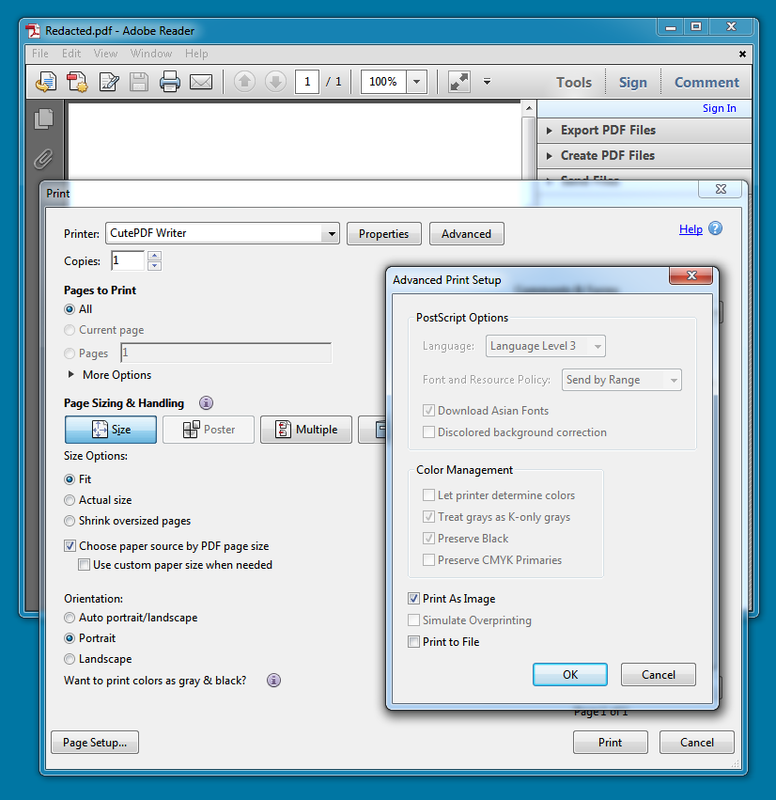 Load the PDF into Adobe Reader and print it again, this time using the third-party driver (e.g. 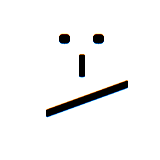 CutePDF Writer). Choose the driver and then select Advanced. Tick the Print As Image option. 4. 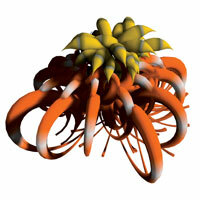 The result is a PDF file from which no text may be selected, even the text that is not secret. Readers can take screenshots of the file and even copy and paste parts of a page, but these are graphics and not text.